Would you know what to do if someone was experiencing an overdose? Representatives from the Harm Reduction Coalition were present and showed us how to administer the potentially life-saving drug Naloxone that’s included in the kit. [Sidenote and coolest thing ever: My stepdad, Dr. Jack Fishman, invented Naloxone! I know, it’s so awesome.] If you encounter someone you believe is overdosing, which may appear as unresponsiveness, or lips and fingernails turning blue for example, first thing you do is CALL 911! 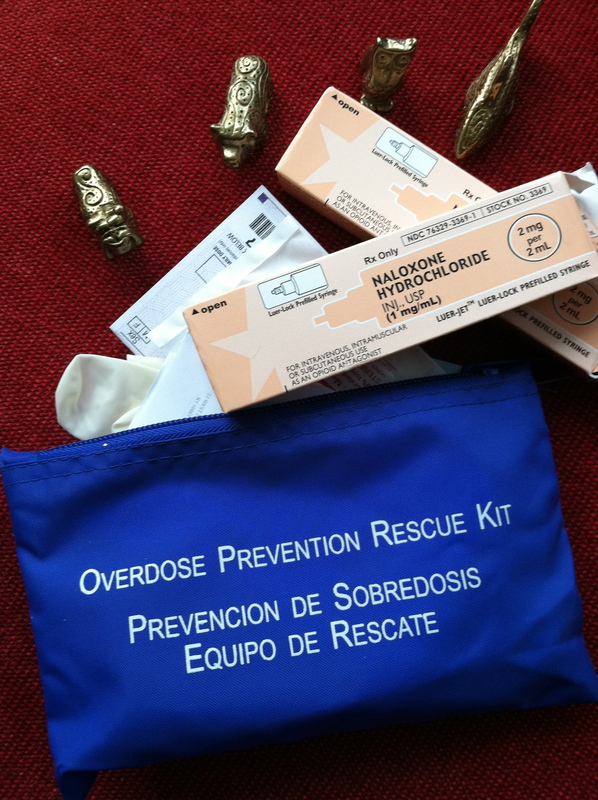 Then hopefully you have this kit available to take the steps to give the Naloxone and save a life. As I was listening to this, it sounded almost like simple First Aid. When I became a parent, I had activated charcoal in the house just in case my kid swallowed something poisonous. Well, a lot of us have prescription drugs in the house and the majority of us don’t lock them up, and our kids could end up swallowing those. Shouldn’t it then be standard issue to have an Overdose Prevention Kit in every household? Just in case? Learn more and get involved! 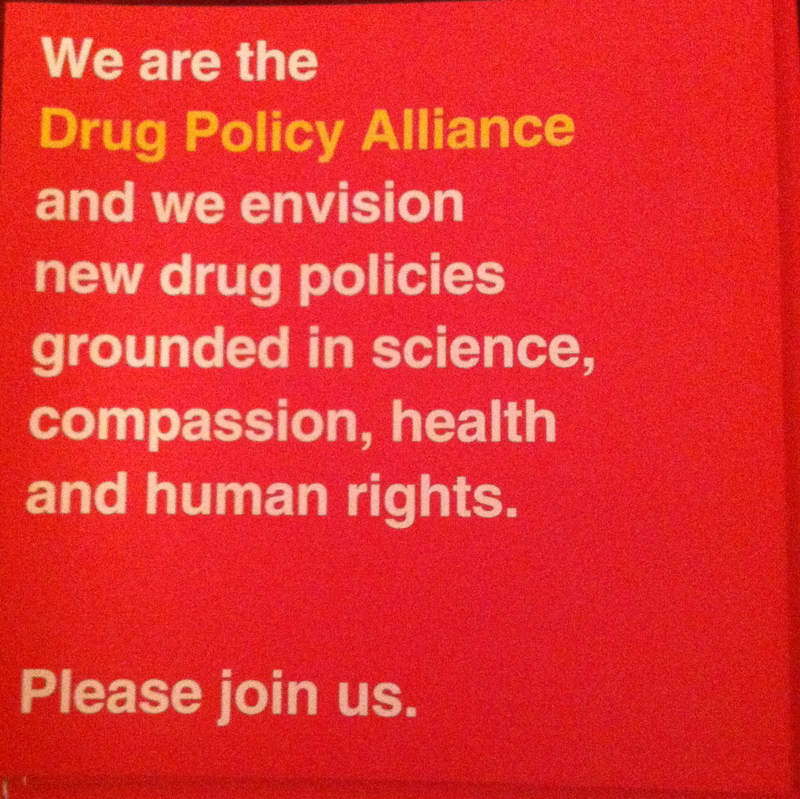 Members from the Drug Policy Alliance were also present, as overdose prevention is one of their focuses, but the DPA does so much more than I ever knew and I encourage you to visit their site to learn about it all! They taught me that in New York, accidental overdose is the 4th leading cause of death, and also that nationally, accidental overdose is THE leading cause of death. Did you know that New York has a Good Samaritan Law that protects you from prosecution related to any drugs or paraphernalia found at the scene of an overdose, if you have called 911? Yeah, I learned that, too. The Overdose Prevention Kit and the Good Samaritan Law are incredible advancements in the efforts of drug reform, and I can’t help but think that if these two potentially life-saving options had been around for my brother ten years ago, that maybe he would be here with us today. Get informed, and help educate others, it may just save the life of a stranger or even a loved one. To learn more about Totem Tamers, please visit our site at www.totemtamers.com.